Made with our proprietary tattoo material, Tateck®, this ultra-durable skin safe applique "tattoo" sticker is sweatproof/waterproof and will last an extra long time -- up to two weeks -- until you are ready to remove it. The Quick Stick Write-On! requires no water to apply. Simply peel and stick -- "Quick Stick!" 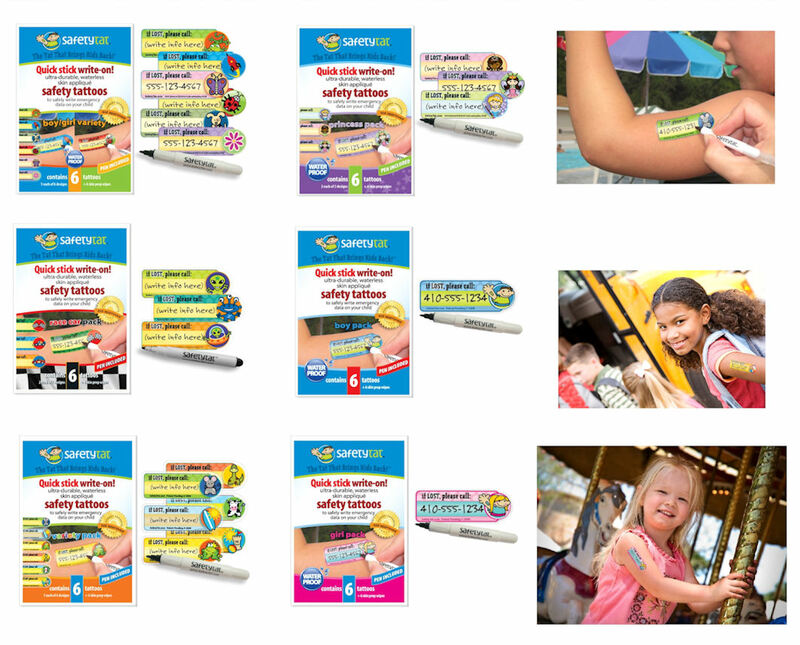 Perfect for traveling with children, theme parks, school field trips, drop-off birthday parties and play dates, sporting events, scout trips and extracurricular activities. These skin applique tattoos are shipped BLANK, so you can write your information on them with the included waterproof tattoo marking pen. Hypoallergenic, latex-free, soy-free and nut-free. As a precaution, please do not use if you have known skin allergies or sensitive skin. Apply to intact skin only. As an extra safety measure, please do not write your child's first name on the tattoo. Includes 6 skin safe tattoo skin appliques, 6 Alcohol Prep Wipes and 1 Tattoo Marking Pen.